The renowned French piano magazine Diapason gives out monthly prizes for classical music recordings, as well as yearly awards for upright and grand pianos. 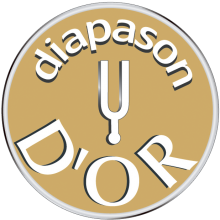 Aside from the German Preis der deutschen Schallplattenkritik and the British Gramophone Award, the Diapason D’OR is one of the most prestigious awards for classical music recordings in the world today. For the piano awards, special conditions are established for testing the pianos, with pianists blindfolded and every piano tested in identical acoustic surroundings. Please find a PDF with the original results of 2011 and a transscript HERE. The FEURICH 178 – Professional II was awarded the prestigious DIAPASON d’or prize. For us at FEURICH, this was not only an affirmation of the quality of our work, but the prize also inspired us to even further perfect this great instrument. The successor to this piano, the FEURICH 179 – Dynamic II has integrated numerous improvements and innovations. Please find a PDF with the original results and a transscript HERE. The internationally-respected French piano magazine Pianiste regularly tests out and reviews new pianos on the market. They put each piano through its paces and even point out shortcomings on pianos by high-end brands from the top price segment. Our new and innovative Vienna piano, the FEURICH 123 – Vienna, impressed them in every way, and was awarded the title PIANISTE MAESTRO.